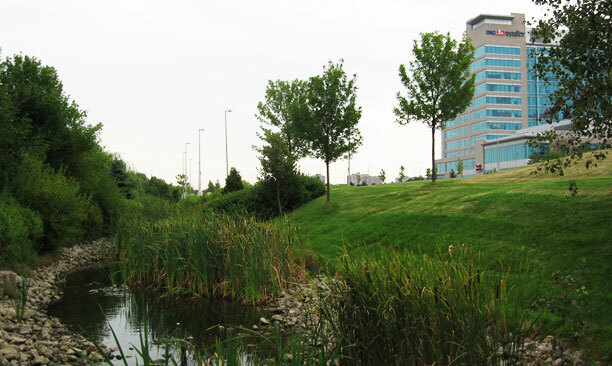 Steeles Technology Campus - PMA Landscape Architects Ltd.
Steeles technology Campus was conceived as an integrated campus of high tech buildings and clientele. 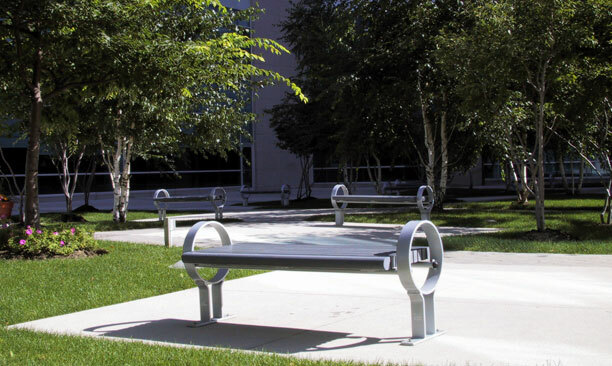 The landscape component was addressed throughout the extensive site as an important complement to the commercial office facilities housed in the campus. 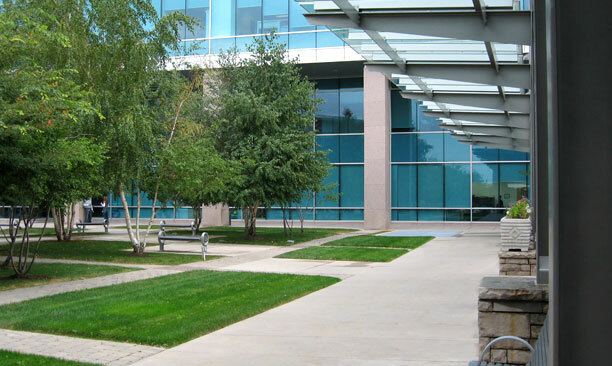 Green space variations, from naturalized to formal, were an essential relief to the work environments of the modern technology employee, and a central theme in marketing the campus. Extensively planted landforms, a naturalized storm water retention facility and natural stone entry features articulate the perimeter landscape. 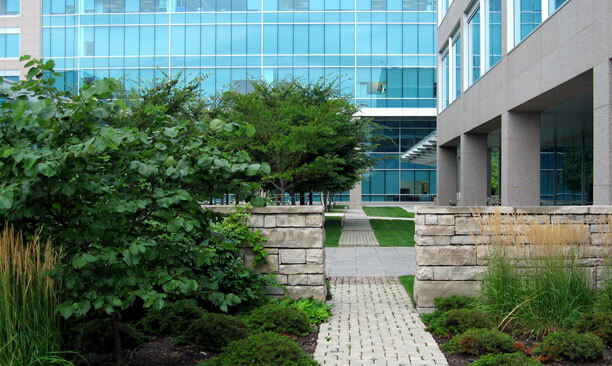 The landscaped building podium maintains the character of the natural stone walls, which thematically unifies the campus. The stone walls separate levels and provide spatial definition through a pedestrian system. A series of courtyards act as outdoor rooms for rest and relaxation. 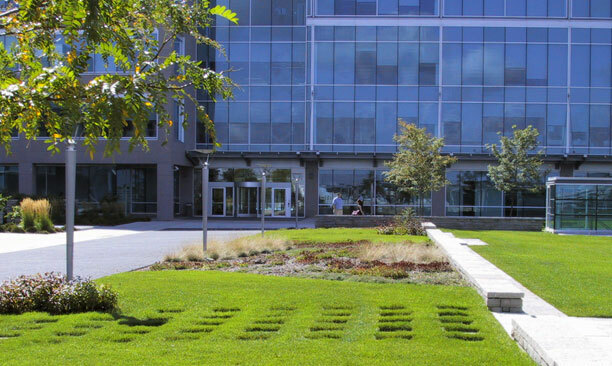 At the heart of the campus, a substantial quadrangle, of lawns and plant beds, frames the contemporary architecture. PMA has been involved in this project since the build-out of the first phase, and into the planning of future phases. In the second phase an extensive water feature is planned to reflect the key tower beacon. Additional parking structures, designed with vine curtains, create an enclosure for the central quadrangle.